An advanced theme with a minimal modern layout. Simple minimalist responsive two column theme with built in slider. Suitable for a blog-based website with custom menu, custom header, custom widget, social share button (facebook like, twitter share, google +1) to make your blog more dazzling. Travelito comes with amazing image attachment gallery, featured image, theme option, sticky post support, styles for print and for the admin editor. HTML 5, CSS 3, and responsive technology. Simple responsive two column theme with built in slider. Suitable for gaming niche. HTML 5, CSS 3, and responsive technology. A fancy magazine theme. Supports widgets, Mobile view and much more! 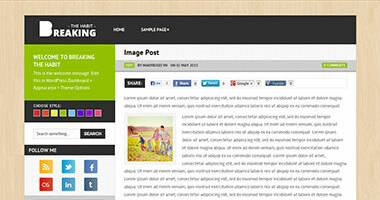 Includes theme options for a featured post on the main page of the site. Simple responsive two column theme with built in slider. Suitable for gambling, poker, casino niche. HTML 5, CSS 3, and responsive technology. Simple responsive two column theme with built in slider. Suitable for hosting niche. HTML 5, CSS 3, and responsive technology. Forum time zone is GMT. Currently it's 12:42 AM.